Warning, lots of this follows. Since it’s been a while since there’s been any code in this discussion, I’m going to go over the current version (which reports as 453) and explain the interesting bits. The source is here, though I caution that a great many things in it are implementation details that should not be depended upon. In particular, consumers should always link to our hosted version of the library (at https://api.stackexchange.com/js/2.0/all.js). The first three lines sort of set the stage for “small as we can make it”. I’m passing globals as parameters to the closure defining the interface in those cases where we can expect minification to save space (there’s still some work to be done here, where I will literally be counting bytes for every reference). We don’t actually pass an undefined to this function, which both saves space and assures nobody’s done anything goofy like giving undefined a value. I intend to spend some time seeing if similar proofing for all passed terms is possible (document and window are already un-assignable, at least in some browsers). Note that we also declare all of our variables in batches throughout this script, to save bytes from repeating “var” keywords. Implementation Detail: “@@~~BuildNumber~~@@” is replaced as part of our deploy. Note that we pass it as a string everywhere, allow us to change the format of the version string in the future. Version is provided only for bug reporting purposes, consumers should not depend on its format nor use it in any control flow. Probably the most boring part of the entire implementation, gives us a random number. Smaller than inlining it everywhere where we need one, but not by a lot even after minifying references to Math. Since we only ever use this to avoid collisions, I’ll probably end up removing it altogether in a future version to save some bytes. Naturally, there’s some Internet Explorer edge case we have to deal with. For this version of the library, it’s that IE8 has all the appearances of supporting postMessage but does not actually have a compliant implementation. This is a fairly terse check for Internet Explorer versions <= 8.0, inspired by the Microsoft recommended version. I suspect a smaller one could be built, and it’d be nice to remove the usage of navigator if possible. Implementation Detail: There is no guarantee that this library will always treat IE 8 or lower differently than other browsers, nor is there a guarantee that it will always use postMessage for communication when able. Now we get into the SE.init function, the first method that every consumer will need to call. You’ll notice that we accept parameters as properties on an options object; this is a future proofing consideration, as we’ll be able to add new parameters to the method without worrying (much) about breaking consumers. Implementation Detail: The exact format of these error messages isn’t specified, in fact I suspect we’ll rework them to reduce some repetition and thereby save some bytes. It is also not guaranteed that we will always check for required parameters (though I doubt we’ll remove it, it’s still not part of the spec) so don’t go using try-catch blocks for control flow. Is for testing on our dev tier. At some point I’ll get our build setup to strip this out from the production version, there’s a lot of wasted bytes right there. Implementation Detail: If the above wasn’t enough, don’t even think about relying on passing dev to SE.init(); it’s going away for sure. This is a bit of future proofing as well. Currently, we don’t actually have any heaving lifting to do in SE.init() but there very well could be some in the future. Since we’ll never accept blocking behavior, we know that any significant additions to SE.init() will be asynchronous; and a complete function would be the obvious way to signal that SE.init() is done. Implementation Detail: Currently, you can get away with calling SE.authenticate() immediately, without waiting for the complete function passed to SE.init() to execute. Don’t do this, as you may find that your code will break quite badly if our provided library starts doing more work in SE.init(). Next up is fetchUsers(), an internal method that handles fetching network_users after an authentication session should the consumer request them. We make a JSONP request to /me/associated, since we cannot rely on the browser understanding CORS headers (which are themselves a fairly late addition to the Stack Exchange API). Going a little out of order, here’s how we attach the script tag. The only interesting bit here is the while loop making sure we don’t pick a callback name that is already in use. Such a collision would be catastrophically bad, and since we can’t guarantee anything about the hosting page we don’t have a choice but to check. Implementation Detail: JSONP is the lowest common denominator, since many browsers still in use do not support CORS. 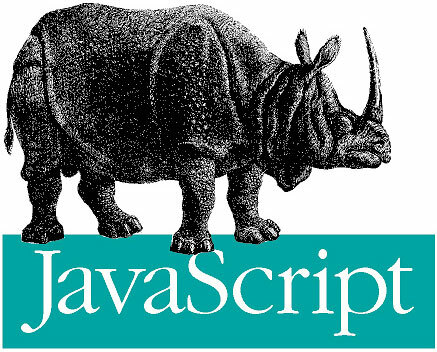 It’s entirely possible we’ll stop using JSONP in the future, if CORS supporting browsers become practically universal. Again, this is fairly pedestrian. One important thing that is often overlooked when making these sorts of libraries is the cleanup of script tags and callback functions that are no longer needed. Leaving those lingering around does nothing but negatively affect browser performance. Implementation Detail: The try-catch block is a workaround for older IE behaviors. Some investigation into whether setting the callback to undefined performs acceptably for all browsers may let us shave some bytes there, and remove the block. Finally, we get to the whole point of this library: the SE.authenticate() method. We do the same parameter validation we do in SE.init, though there’s a special case for scope. Because we can’t rely on the presence of Array.isArray in all browsers, we have to fall back on this silly toString() check. In a nutshell, if a browser supports (and properly implements, unlike IE8) postMessage we use that for cross-domain communication other we use the old iframe trick. The iframe approach here isn’t the most elegant (polling isn’t strictly required) but it’s simpler. Notice that if we end up using the iframe approach, I’m wrapping the results up in an object that quacks enough like a postMessage event to make use of the same handler function. This is easier to maintain, and saves some space through code reuse. You’ll notice that we’re religious about checking the message for authenticity (origin, source, and state checks). This is very important as it helps prevent malicious scripts from using our script as a vector into a consumer; security is worth throwing bytes at. Again we’re also conscientious about cleaning up, making sure to unregister our event listener, for the same performance reasons. I’m using a mapSuccess function to handle the conversion of the response and invokation of success (and optionally calling fetchUsers()). This is probably wasting some space and will get refactored sometime in the future. Implementation Detail: The manner in which we’re currently calculating expirationDate can over-estimate how long the access token is good for. This is legal, because the expiration date of an access token technically just specifies a date by which the access token is guaranteed to be unusable (consider what happens to an access token for an application a user removes immediately after authenticating to). Currently we’ve managed to squeeze this whole affair down into a little less than 3K worth of minified code, which gets down under 2K after compression. Considering caching (and our CDN) I’m pretty happy with the state of the library, though I have some hope that I can get us down close to 1K after compression.